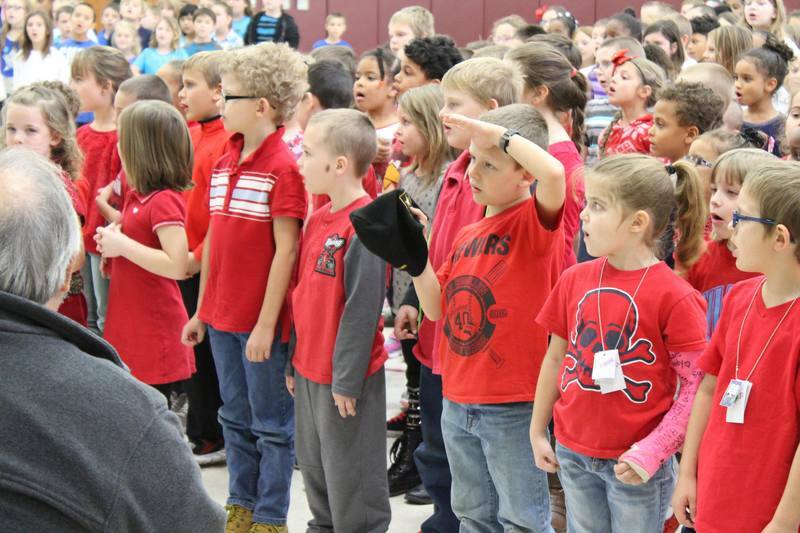 Parkway Elementary School hosted a Veteran’s Day program on Friday, November 10 for those who have served in the community. 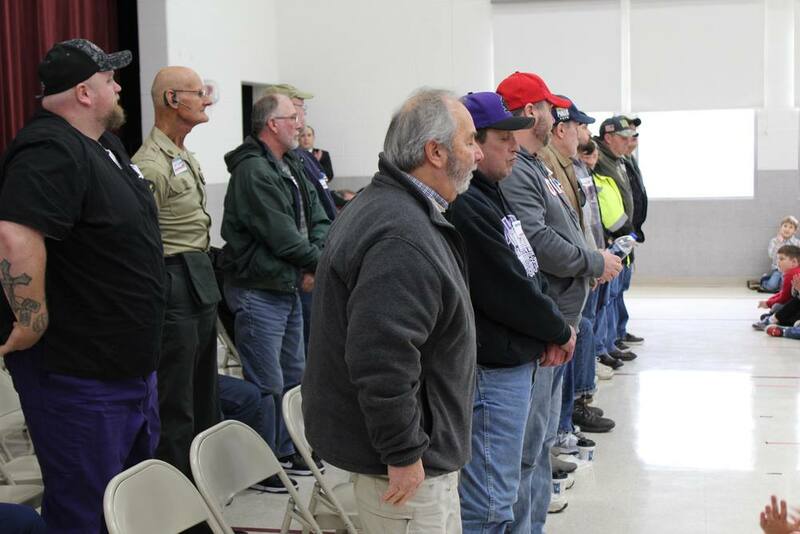 Many of the 20 plus Veterans who attended were friends or family of students at the school. 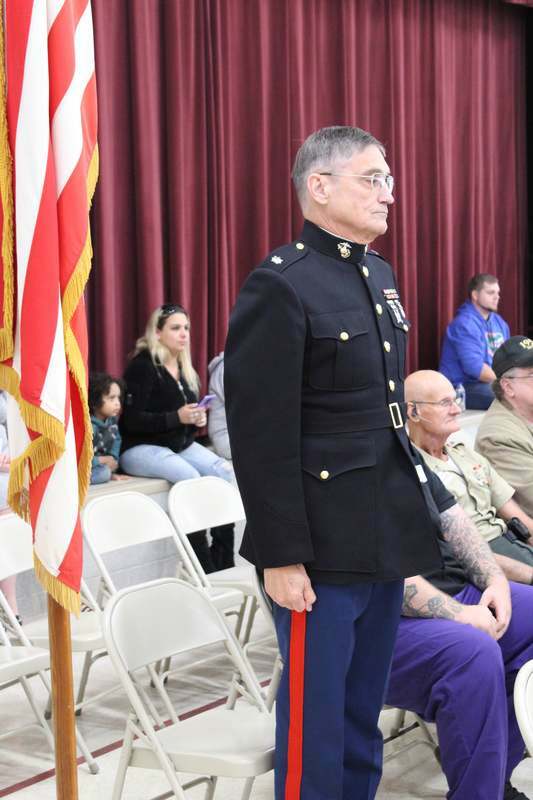 Principal Cory Muller also spoke about the importance of each and every Veteran. “Thinking of the heroes that join us today and those that are here only in spirit, a person can’t help but feel awed by the enormity of a day like today,” Muller said. Military branch songs were played while those who served in each branch stood and were recognized. Taps was played on the trumpet by veteran Augie Grove. Veterans were then welcomed back to classrooms to talk to students.